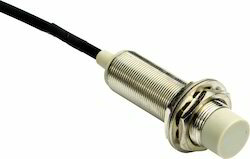 Genuine Automation is a multi-brand store for Proximity Sensors. Our experience of over 25 years in the field of design, engineering and sales of Proximity Sensors helps us provide top class sensors and support service. We supply a wide range of Proximity Sensors for Robotics and Control System applications as well as Hazardous Area installations. Our sensors perform in a seamless manner with minimum or no downtime. If you are looking for sensors with higher sensing range or miniature sensors, give us a call. Our team is capable to navigate you through complex applications to select right sensing solution.